I am very happy to announce a new sponsorship opportunity with Specialized Bicycles. Cycling and RC racing has become a great crossover for many people in the recent years. The focus you need to blast down mtb trails is similar to the focus needed in the sprint style electric 1/10 finals. A long grueling road ride requires mental strength that is also needed to drive a clean one hour nitro final. I think the crossover for a cyclist to RC racing is also a great thing. I am very excited about this special opportunity to share my new found love for cycling to many RC racers around the world. 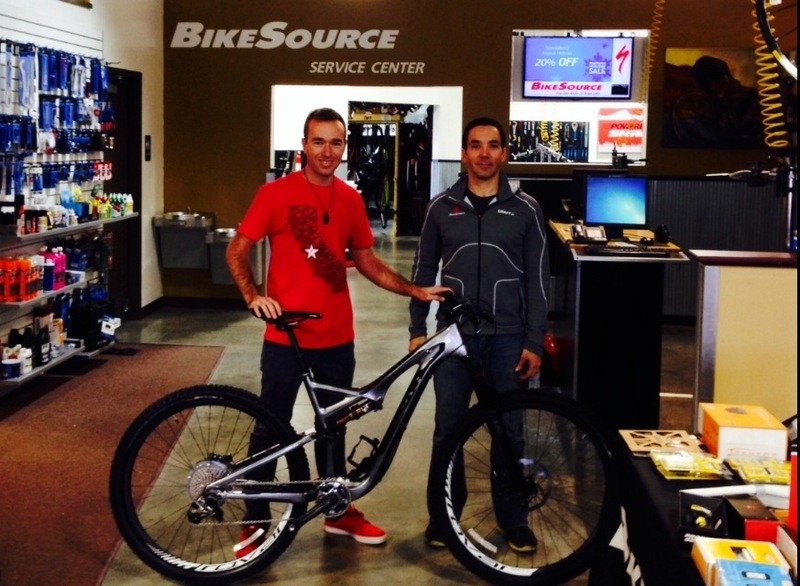 I would like to thank Specialized Bicycles and Bike Source bicycle shop for this great opportunity. Specialized Bicycles is a leading brand in the cycling industry with great bikes, and a great customer care program. Check out specialized.com to see all their lines of bikes. Also check out bikesourceonline.com to see if there is a shop in your area. I am excited to grow in my cycling and try more cycling disciplines. Also look for a very special JTP event in 2014. A 1/8 nitro buggy race , combined with a Specialized Test the Best demo ride day. Come out to Kansas City, ride your mtb bike with Jared Tebo at his local trails, and if you don’t have a bike, test out an S-Works Specialized bike. Then after that enjoy my local RC track and race some 1/8 buggy. Check back more details in the coming months. Thanks for reading and God Bless.